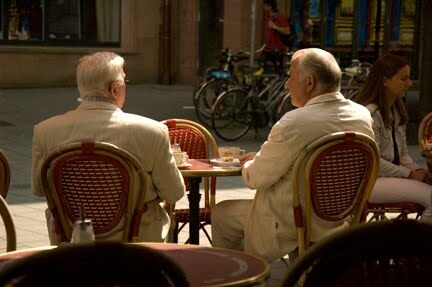 PFNAR: those odd photos at the end of each blog post – the pics are unrelated and have no explanation. Where did I take them? Why did I take and post them? This post was originally published on April 2, 2014 and updated on March 26, 2019. 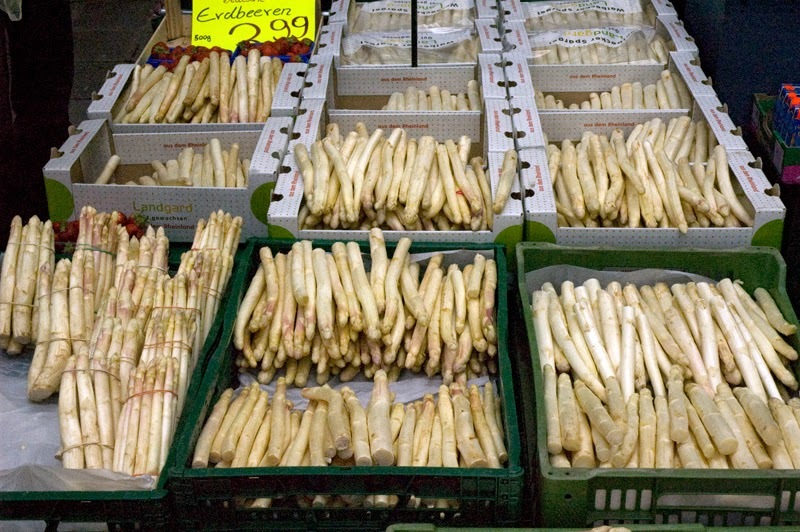 Because we had such a mild winter and an early spring this year, white asparagus, or Spargel, appeared in late March at the markets and supermarkets here in Bavaria. It normally appears about mid-April and is enjoyed with as-close-as-Germans-get-to wild abandon until late June. It is not unusual for a German to have Spargel three or four times a week during Spargel season. The season is over on Johannistag, the Catholic Feast of St. John, on 24 June. During that time Spargel is in every outdoor market and supermarket and on every restaurant menu. Restaurants and pubs usually offer a special “Spargel Menu” during this time. My German “mom”, Hilde, nearly sets her clock by it and always buys several kilos from the same local farm each year. 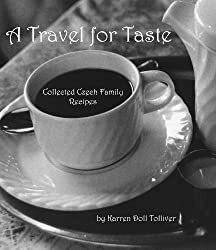 She serves it chilled in salads, warm in sauces, or pickled. It’s Germany’s first fresh spring vegetable and is a welcome break from the winter root vegetables. It’s also a harbinger of all the fresh garden fare just around the corner. Spargel is so prized in Germany that it is sometimes referred to as Königliches Gemüse, or the royal vegetable. In fact, cities large and small, including Bonn and other locations, have Spargel festivals celebrating the beloved morsel. White asparagus, a perennial plant, is the same variety as the more familiar (to Americans) green asparagus. However, in central and southern Europe it is grown under the earth in long mounds that make the fields look like giant sheets of corrugated cardboard. Sand and compost is troweled over the young shoots, preventing them from receiving any sunshine. Nowadays the farmer uses plastic sheeting over the rows as well. The resulting lack of chlorophyll is the reason the spears are white and the taste is mild. Unlike the green kind, white asparagus has a tough, bitter outer skin that must be removed. I learned the hard way how difficult it is to peel white asparagus. Especially without the right tool. I set out to experience Spargel in my own kitchen a couple of years ago after I moved to Germany. I got my vegetable peeler and kilo of spears from the market and went home. Standing at the tiny sink in my tiny German kitchen, I tried to peel the Spargel as you would a carrot. After many broken stalks and a couple of finger slices, I accomplished it. However, I discovered afterward that I had made two big, amateur mistakes. And, strike two, I was peeling the spears holding the top of the stalks near me and trying to peel them by moving the peeler away from me toward the bottoms. Just like a carrot. I’ve seen people in the market peel the stalks for customers, which would have been a great idea for me! They use peelers that have two or three blades and make quick work of it. However, it looks as though it would take some practice even then. It is quite a sight to see a skilled Spargel peeler at work. One must keep in mind that Spargel dries out quickly, so peeled spears would have to be cooked within hours. The most expensive stalks are thin ones that have just been picked that very day. Less costly are the larger, tougher, older spears, but they, too, can be prepared into delectable dishes. Spargel is consumed as fast as it can be harvested. Workers come from other countries to harvest the Spargel. It is hand-picked stalk by stalk and washed in facilities located on the farms where it grows. I’ve seen many fields of rows of Spargel mounds with (usually) women bent over them during harvest. White asparagus used to be hard to find in the States, but I’ve noticed it more and more. A store like Whole Foods would probably have it and I actually found some in a Super Target last time I was home. Aside from peeling it, it’s fairly straightforward to cook. You can steam it in a veggie basket or double boiler or even a dedicated asparagus pot. Or simply boil it on the stovetop until tender. Traditional ways to serve it include hot with Hollandaise sauce or cooked and chilled in a vinaigrette. Chilled Spargel is a good addition over top of a green salad. There are as many new and different recipes for Spargel as there are traditional ones. Hilde gave me her recipe for Spargel Gemüse, in which boiled white asparagus is brought together in a white sauce with a kind of diced bacon. Another recipe I am looking at right now in my Franconian cookbook is to take three thin, boiled spears and wrap them in thinly sliced ham. Lightly sear the rolls in a fry pan with butter and remove. Deglaze the pan with a little white wine and some of the asparagus water. Add salt, pepper and an optional hint of nutmeg (Germans tend to overdo the nutmeg thing, for my taste) and reduce for three minutes. Add a dollop of sour cream or crème fraîche to the sauce and serve over the asparagus rolls. Potato pancakes are the side on this recipe. Sounds awesome! About the only thing I’d caution against is using garlic or hot spices with white asparagus. It’s flavor is very, very mild and is easily overpowered. Otherwise, my second recommendation is to serve a Spargel dish with a chilled German white wine such as Müller-Thurgau or a Riesling. So it’s not all beer, pork and potatoes here in Bavaria, but you do have to be in the right place at the right time to get this tasty spring delight.